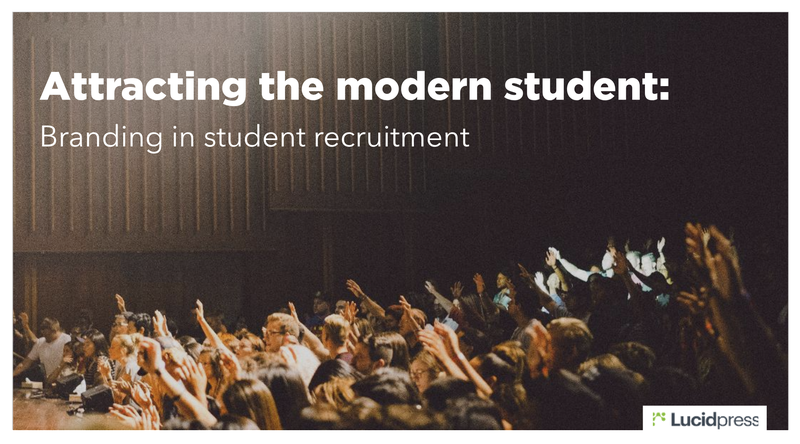 Free eBook for Higher Education: Branding in Student Recruitment . ', failHtml: "
A university's brand is defined by its culture and values. This brand experience is what draws students to a school and keeps them as loyal alumni after they graduate. But, the climate around student recruitment has changed as a larger and more diverse group of students look for the university that's right for them. Is your school delivering a strong, consistent message with its brand marketing? A university's brand is defined by its culture and values. This brand experience is what draws students to a school and keeps them as loyal alumni after they graduate. But the climate around student recruitment has changed as a larger and more diverse group of students look for the university that's right for them. Is your school delivering a strong, consistent message with its brand marketing?